The wedding veil is a classic accessory that has the capacity to transform any woman into a bride. With time, the designs and lengths of wedding veils have changed. Despite this veils are still very much in, and it is one accessory that most brides turn to in order to complete their bridal look. Veils can have different lengths: very short, shoulder length, elbow length, fingertip length, knee length, floor length and royal length. This brings us to a very important piece of advice: you should never buy a veil without first trying it on. A veil that is advertised as knee length may be finger length on some women, due to their height. 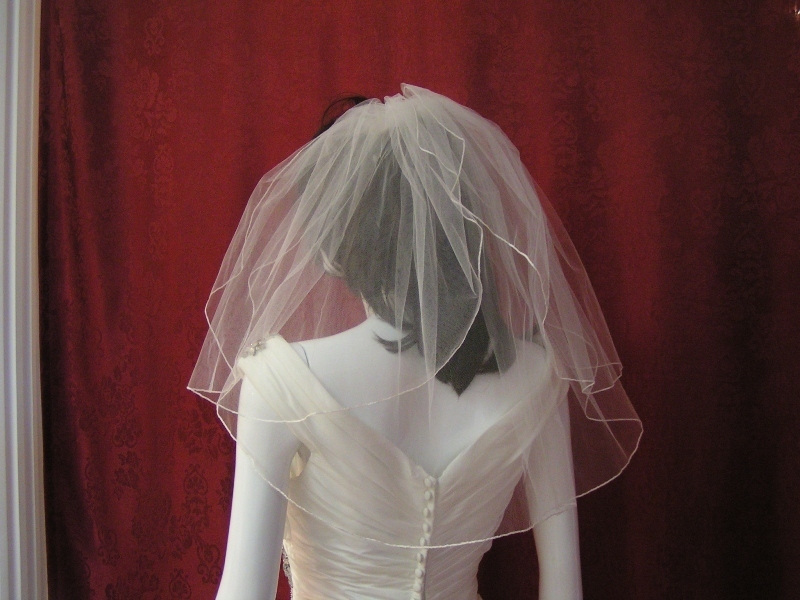 The effect of a veil may also change depending on how high or how low you attach it. So check this out first. A veil not only to completes your bridal look, but also highlights the most interesting features of your bridal outfit. By choosing the appropriate length for your veil, you can draw focus to the bodice, skirt or neckline of your dress. Let us look at which veil length will be most suitable for you, based on what features you wish to emphasize. Similar to visors, these end at the chin. It draws focus to the upper half of your dress. If your wedding dress has an interesting neckline, this would be a good choice to consider. When the veil ends at the shoulder, it reveals the details on the back and neckline. It is a perfect choice for illusion back dresses. Shoulder length veils are not really traditional fare, so you may want to consider another option if you prefer a traditional bridal look. As the name suggests, these veils skim the wedding dress at the elbow. The positioning near the waistline will draw focus to the skirt. If your dress has detailing on the back, it would be a good idea to go for one in sheer fabric so these details aren’t lost under the layers. It looks great with ball gown dresses and A-line skirts, with embellishments at the waistline and beyond. Fingertip veils fall below the waist and emphasize the details on the bodice. It goes well with fitted silhouettes and fit and flare dresses, but can be used with most wedding dress types. These veils create a dramatic bridal look and are perfect for formal weddings. Ending at approximately knee-length, these veils are good with dresses that end at mid-calf or those with a long train. 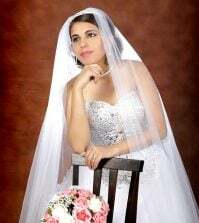 You can dress up a simple wedding dress by choosing a veil that is textured and has elaborate embellishments. As the name suggests, these veils flow from your head to your toes and gently skim the floor. We suggest that this veil be considered if your dress doesn’t have a train, or you would lose the details on the train beneath this veil. The most dramatic of veils, it spreads out to several feet behind you. Unless it is sheer, the veil can hide the back details of your dress. Consider it if your wedding dress is very traditional and has a noticeable train. 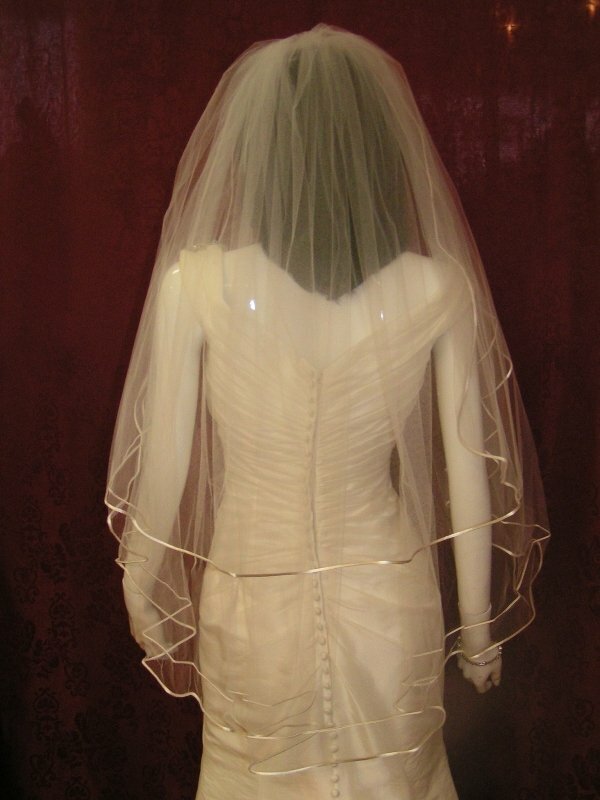 We have pretty veils in all lengths and in various designs at Best for Bride. 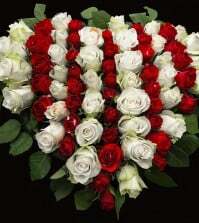 Check out our collection today to find the one that is perfect for your wedding. Do a lot of brides do the veil anymore? The last few weddings that I attended did not have that and I just thought maybe the trend was over.